As the weather changes and kids are back to school, we Mom's know that sometimes it is nice to take a little break with your girlfriends for some time together. I know my girlfriends are like a life line to me at times - always there to help or just to listen. Getting together for a nice dinner where I don't have to cut someone's food is just well... awesome! 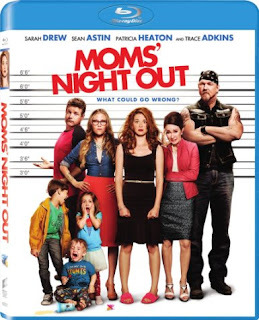 So for all the wonderful Moms I thought I'd do a little giveaway for a great family friendly movie - Moms' Night Out! This was such a funny movie! While it is exaggerated and over the top, we Moms can relate! One Lucky Reader will win a copy of Mom's Night Out! ARupLife.com DID NOT received product, press or compensation to facilitate this review. This post may contain affiliate links. We only give our honest opinons of products. This post is in accordance with the FTC 10 CFR, Part 255 concerning the use, endorsements or testimonials in advertising. I love going to the movies! I love going out to the movies and dinner for Mom's Night Out. My favorite place to go is to my favorite jazz club.